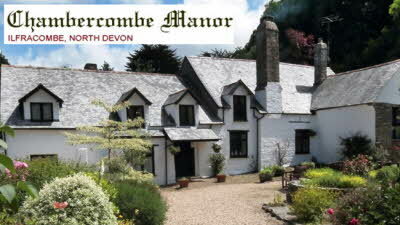 A stunning 11th century historic manor house mentioned in the Domesday Book. Discover many original features and 3 acres of beautiful gardens, tea rooms and gift shop. Whilst staying at this CL last week, we had damage done to our awning by what we assume was an animal on the farm (badger, dog or fox, who knows!) It happend during the day while we were out. There was also another visitor who had their awning damaged in a similar way 2 days previous. Any future visitors please be aware. We have stayed here many times, never experienced anything like it before. Do not follow sat nav, once on the A361 from Barnstable follow handbook directions. Even so the entrance is poorly signed and is very tight with a sharp bend half way. As you drive onto the site you realise this is a working farm with machinery left in the cl field and mud everywhere. The grass is kept short in the cl area but the field is large and the rest is probably cut twice a year.The welcome was friendly and helpful. The toilet and shower block need updating and cleaning. Site is on a working Farm, facilities basic. Unfortunately whilst we were there one of their farm dogs attacked a neighbouring caravaners dog resulting in a £500 vet Bill which has put us off returning again as we also have a dog. 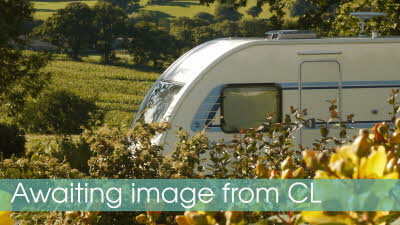 Stayed for 2 weeks and found the lady owner of the site lovely, helpful and friendly. Great for the dogs we took, lots of space to exercise. Never heard the wind turbine once while we were there. Field drains well after heavy rain. Excellent position of site close to Ilfracombe, Woolacombe. Toilet and shower block could do with TLC but most caravans have got there own facilities these days. Will be returning another year.